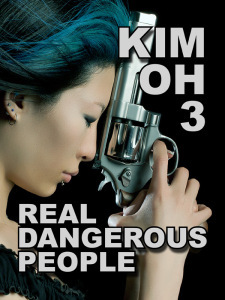 The adventures of K. W. Jeter‘s femme gun-for-hire continues in Kim Oh 3: Real Dangerous People (Kindle Books). Kim Oh, having survived the death of both her mentor and boss is working for a new client: Mr. Falcon. Falcon is an old mobster who’s trying to become a legitimate businessman by merging his operation with a sleazy contractor, Karsh. But something has happened before the latest meeting with his new partner and one of Falcone’s crew is dead. He chooses Kim to replace the aging torpedo who didn’t survive the last assault. Falcone(pronounced like the bird, he really wants to appear respectable)’s crew consists of four men: Curt, Foley, Earl and Elton. We never do get their last names. Each of the men have been part of Falcone’s security detail for years. Curt is the leader. Foley had been working for a rival. Elton is from somewhere in Alabama and is the youngest. All are getting on in years and the legacy of being aging wise guys is starting to wear on them. Jeter’s goodfellahs are not the glamorous bunch of tattooed gunsels from the movies. This crew has seen a lot of action and knows how to pull together in a firefight, but they live simple lives. Kim points out early in the novel how the life of a hired gun is not lucrative. The crew live in cheap apartments with Formica tables. None of them have wives or girlfriends. Naturally there is resistance when the crew is assigned a little 100 pound asian girl as its latest member. Foley absolutely refuses to work with her until Curt informs him Kim was hired by Mr. Falcone. Curt had known Kim earlier, so he has some respect for what she can do. But the specter of her failure while working security for a previous mobster looms over everything. When the crew are ambushed by an assassin on their way to a business meeting with Falcone’s new partner, it’s Kim who saves the day. 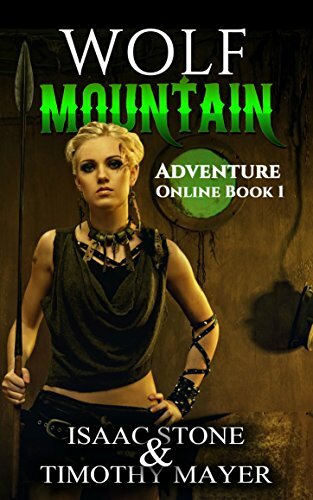 There’s a tightly written gun battle in a shopping mall’s parking lot where she manages to keep the crew alive. Again, aspiring writers should should be studying Jeter’s Kindle books to see what can be accomplished in few words. No need for long expository scenes, or pointless self-reflection. I didn’t move. I didn’t even breathe. I didn’t know whether I wanted to still be there or not, listening to him say all of this. Elton had heard him as well. Curt went on, as if he were completely alone. Kim’s big foil in this book is Miss Thorpe from Child Protective Services. When she returns to check up on her handicapped brother Donnie, the social worker is waiting for her. The CPS is not pleased Donnie is spending too much time indoors. They are also not happy Kim’s not providing him with an “authentic appropriate environment”. Kim realizes she’s going to need a job which provides a W-2 form to keep them happy. Working as a hired gun for cash doesn’t meet the guidelines. The final scene in this Kindle book is easily the best written in the entire book. I don’t want to give too much away, but it involves Kim wielding a 0.357. She’s also wearing a Chinese dress that slits up on one side. It takes place in a Polynesian Fusion restaurant. Once again, the theme of faux authenticity emerges in Jeter’s writing. Kim considers herself a “feral American” while most of the people around her can’t even remember if she’s Chinese, Japanese, or whatever. Another excellent entry into a series which keeps getting better.